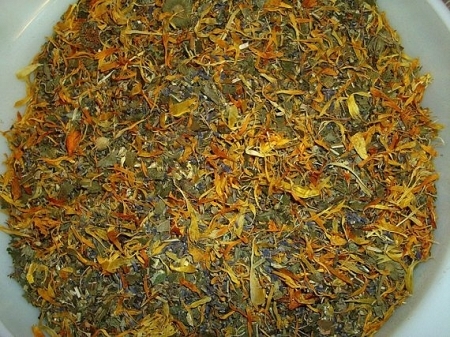 Postpartum herbal sitz baths have long been recommended by doctors and midwives for accelerated healing, toning, tissue repair, and infection prevention from damage associated with pregnancy and vaginal delivery. 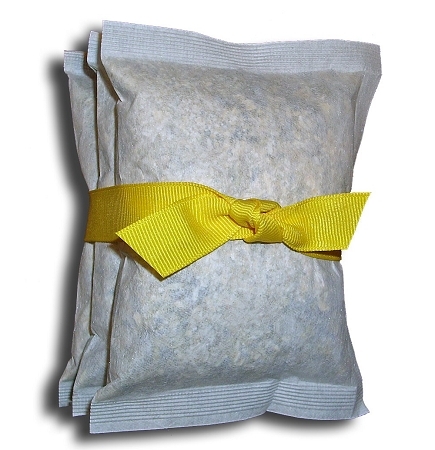 Custom blended for optimal postpartum healing and relief, our organic herbal bath jumbo tea bags and contents are fresh, clean, easy to use, and 100% bio-degradable (including the OxoZip packaging). They truly smell heavenly. Refrigerate bags after use for a wonderful quick, cool compress, or soak sanitary pads in the fresh tea and freeze for a seriously soothing and healing frozen peri-pad. Contains 100% natural, solar-evaporated sea salt, Epsom salt (magnesium sulfate) , Organic Lavender Flower Buds, Organic Uva Ursi, Organic Shepherd's Purse, Organic Yarrow, Plantain and Comfrey Leaves, Organic Calendula Flowers, Organic Witch Hazel Leaf. One order contains three (3) individually sealed tea bags, wrapped and labeled in special plastic zip bags to retain freshness and cleanliness. Each handcrafted, heat sealed tea bag is approximately 4" x 5.5" and at 1.5 oz will make one sitz bath or approximately 1/2 gallon of herbal sitz tea. Complete, detailed instructions arrive with your order. **Please note: Consult your doctor or midwife about whether you can submerge your perineum in water. It may be safe for you to submerge your perineum in a sitz bath but not a tub bath if you had a severe episiotomy or perineal tearing during delivery. Your doctor/midwife may also recommend a combination shower/peri bottle for a few days. ***Ribbon pictured is not included.